Comedy helps move the drama forward, adds relief and generally helps create memorable moments. We take a look at how you can add humor / humour and comedy into your roleplaying games, to enhance the drama and the storytelling within your tabletop role-playing games as a Game Master / Dungeon Master. 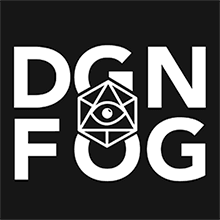 We unpack comedy, the use of it, balancing it out and ideas that you can use to enhance your role playing games as a game master / dungeon master. This entry was posted in Game Master, GM Wanderer and tagged comedy, humor, humour.